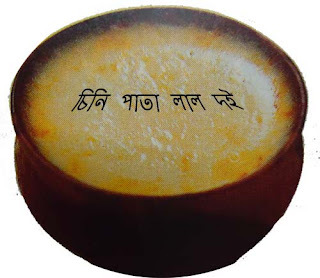 Bangalees are very fond of sweet yogurt and in every rites, rituals and celebrations there is a significance of yogurt. In every Bengali sweet shop the sweet items may vary, but yogurt is a must listed item available in all small as well as big shops. You can make yogurt from any type of milk as long as they contain sugar for the bacteria to ferment upon and protein that can be coagulated. Yogurt is made by fermenting milk. 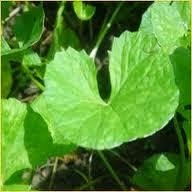 It is high in protein, calcium, and probiotic or good bacteria. The active bacteria, which is used to ferment the yogurt is known as yogurt cultures. The Indian custom, (the oldest dated records show yogurt being used in the ancient culture of India and Iran as far as 500 B.C. ) therefore which is so universal of finishing a lunch with a bit of yogurt is evidently based upon sound cultural, gastronomical principles as well as physiological goodness from the Vedic period. Yogurt enhanced lactose digestion, improved immunity to disease, inhibiting the growth of harmful bacteria, improves intestinal transit and is beneficial for the intestinal flora. I usually make some yogurt for cooking from soy milk, coconut milk as well and almond milk yogurt too as well as flavored yogurt with grated lemon zest and mango buds [আমের মুকুল] etc. In Bengal we use ordinary local yogurt with active culture or reusing of freeze-dried yogurt starter, you will need then to keep the starter yogurt out at room temperature while you prepare the milk. This warms the yogurt so that it would not chill your recipe too much when you add it later. There is no simple chemical equation for yogurt production, since multiple reactions occur. Several types of bacteria can ferment lactose. The secret of making this variety of yogurt with the color and the thickness is guarded by the people. I made this yogurt like the world famous commercial thick yogurt of Bengal following the process of famous Bengali food educator Bipradas Mukhopadhyay as guided in the book "Mistanna Pak", all that is needed is to evaporate the milk to one-fourth of its bulk to make this thick yogurt. I took 500 ml Amul Gold full-cream milk and put it to boil. Once the milk reached the temperature or started to froth, flame was lowered. I added half a cup Nestle Milkmaid [the sweetened condensed milk] with 1 tablespoon sugar and stirred continuously for about 5 to 6 minutes. A gentle stirring of the surface of the milk should be continued. During the evaporation of milk, a scum of casein forms on the surface, which greatly hinders the escape of the steam of milk. This scum usually also adheres to the sides of the evaporating vessel and gives the milk a burnt taste. The burning taste can be avoided by carrying out evaporation in a water-bath, so that the evaporating vessel is always below 100°C, but the milk always clots. The milk is now removed from the heat and allowed to cool at 110°F (43°C). The milk is stirred occasionally so that the temperature is uniform before adding active yogurt culture. You must have at least 1/8 teaspoon of starter yogurt for it to work properly in a quantity of milk, and you must have enough milk for the starter to grow and flourish. Milk containing of 0.25 percent of free acid, estimated as lactic acid, will ferment when set to 85°C and 100 c.c. of which requires 20 c.c. of active bacteria. Adding much bacteria produces a sour yogurt rather than a pleasantly tangy yogurt and too much active bacteria make the milk more acidic causing the proteins in milk to coagulate. If you use too much starter, the bacteria can become crowded and may run out of food before the yogurt completes setting up. Good proportion of thick milk and yogurt culture result in a thickened, creamy texture. 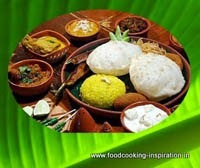 Now take one tablespoons plain yogurt with live cultures [ছাঁচ or সাঁচা] or you can use freeze-dried yogurt instead. Mix thoroughly with a spoon until the entire yogurt starter is well dissolved. I washed my earthen bowl [পাতিল ] in hot water. I did put the bowl inside my LG micro oven and set to micro for 1 minute to evaporate the extra water then pour the ready-to-set yogurt milk in that bowl and additionally I sprinkled 1 teaspoon powdered brown sugar on the top, which protects the liquid below from cooling down quickly. After the process is finished, a clingfilm is placed over the top of the bowl [পাতিল ] to keep the surface of the milk from cooling and the milk is then left to set in the micro oven for 5 to 7 hours or overnight undisturbed or until the yogurt formation is complete. In the morning before I put the set yogurt in the refrigerator to cool and set tight I did a trick, I removed the clingfilm, did heated up my cast iron sizzler plate on a high flame to smoking point and held for a minute on the top of the yogurt bowl carefully, the upper part of the yogurt [which had the powdered brown sugar] dried to a horny crust. The principal method of making yogurt is by keeping it in a warm place, namely at a temperature of about 84°F. This temperature favors the rapid growth of bacteria. The temperature for yogurt can vary within a certain range, but it is very important to stay within the given range and undisturbed. If it is too warm the bacteria will die or if it is too cool the culturing will halt, and probably not start again. After the bacterial culture is added, keep the yogurt in a warm place, allowable temperature range for culturing yogurt is from 100 to 110°F (38-43°C) to encourage bacterial growth and the temperature is maintained for 4 to 7 hours. If it gets too hot, the temperature begins to kill the bacteria that digest the lactose in the milk, it will then wind up with the yogurt. Yogurt that has set will be more or less uniform in appearance: one solid mass. There should not be a clear separation of curds and whey (the white solid portion on top and clear liquid on the bottom). The yogurt should appear more or less smooth, not lumpy. If you gently tip the container, the yogurt should pull away from the side of the container. Sometimes a bit of whey will separate from the yogurt during the culturing process. In the commercial production some additions of food color for impression of thickening of milk and gelatin and extra fat during the process of boiling of the milk for considerable importance of quick production of rich yogurt is visible. Since in the commercial yogurt the fat becomes entangled with highly insoluble caseous matter and it is difficult to feel the real taste of good yogurt we should motivate ourselves to make our healthy options at home.